"... For the least of My Brethren"
For years we have heard the following Scripture being preached. And, in fact we ourselves have quoted the passage of: Matthew 25: 31 – 46 without understanding to whom Yeshua (Jesus) was actually referring to. Having lived and worked in the very East of Turkey for almost seven years, close to Mount Ararat, we were accustomed to shepherds herding their flocks even across the streets. One distinct difference between the goats and the sheep is that; goats wander off and like to do their own thing whereas the sheep even though they need more care follow their shepherd. Now do we really know who “… the least of my Brethren” is in Matt 25: 31 -46? Before we continue, we need to tell you that the KEY VERSE of the whole passage of Matthew 25: 31 – 46 is almost always taken our of context. We are referring to verse 40 where it says: And the King will answer and say to them, ‘Assuredly, I say to you, inasmuch as you did it to one of the least of these My Brethren (Brothers), you did it to Me.” First of all, few people realize that this verse specifically relates to end times, the immediate period before the return of the Lord. And as a result well-meaning people have used this one verse to refer to any act of mercy towards the needy. Strangely this verse has also been applied where vegetarians used this verse to justify their aversion to eating meat. They explain that this is a reference to animals that are the least of God’s creation. § Anyone, particularly the needy among humankind. Many commentators quote Yeshua’s comment on Matthew 12: 50 “For whoever does the will of My Father in heaven is My brother and sister and mother” to prove that Christians are the brethren that Yeshua had in mind in Matthew 25. But if the “brethren” are Christians, then who are the “sheep” in this passage? Aren’t the Christians those sheep who honour the God of Scripture and hear the King saying in verse 34: “Come, you blessed of My father, inherit the kingdom prepared for you from the foundation of the world.” This is the “sheep’s” reward because they have been a blessing to Yeshua’s (Jesus’s) brethren (a different group altogether). So now let’s return to that critical verse: Matthew 25:40 and the treatment of the “brothers of Yeshua.” We believe specifically deals with the issue of the treatment of Jewish people in the end times as a crucible having a direct bearing on one’s eternal destiny. So we must not miss the gravity of this matter through careless by the way assumptions as our very eternal destiny may be at stake. It is to bring this matter closer to home in light of Yeshua’s (Jesus) words. It is time for us as Christians to re-double our efforts in reaching out to Jewish people with hearts and hands of compassion. We must love Yeshua’s (Jesus) brethren, the Jewish people because He is inseparably tied to His chosen people. Judgment of Gentiles (Nations): “And before him shall be gathered all the nations; and he shall separate them one from another, as a shepherd divideth his sheep from the goats. And he shall set the sheep on his right hand, but the goats on the left. Then shall the King say unto them on his right hand, Come, ye blessed of my Father, inherit the kingdom prepared for you from the foundation of the world (Mt. 25:32–34). For I was hungry, and ye gave me food; I was thirsty, and ye gave me drink; I was a stranger, and ye took me in; Naked, and ye clothed me; I was sick, and ye visited me; I was in prison, and ye came unto me. Then shall the righteous answer him, saying, Lord, when saw we thee hungry, and fed thee; or thirsty, and gave thee drink? When saw we thee a stranger, and took thee in; or naked, and clothed thee? Or when saw we thee sick, or in prison, and came unto thee? And the King shall answer and say unto them, Verily I say unto you, Inasmuch as ye have done it unto one of the least of these my brethren, ye have done it unto me. (Matthew. 25:35–40). As mentioned before - many times people quote this passage as a mandate to care for the children of the world and we certainly don’t violently object to this use; but if we are going to stay with sound exegesis (a detailed explanation of a piece of writing, especially Religious writing), we must recognize that Christ is not talking about all the children of the world. He is talking about the least of these my brethren. And the brethren of Christ are the Jewish people. During the early days of the Millennium, the nations will be required to answer the question, "What have you done to the Jewish people?" Israel has come under many cycles of discipline. But one final judgment is yet to come. When Christians are taken out of the world at the Rapture of the church, the Tribulation will begin. The Tribulation is "the time of Jacob's trouble" (Jeremiah 30: 7-) and the word tribulation comes from the Latin word ‘tribulum’ that means a threshing sledge which is a tool used to separate the wheat from the chaff. During those days, Israel will come under the terrible oppression of the Antichrist. The Jewish people will be so pressed that they will ask, "Why is this happening? Where is God now when we need Him?" They will come to the end of their rope. So the Bible says, “In that day there shall be a fountain opened to the house of David and to the inhabitants of Jerusalem for sin and for uncleanness.” (Zech. 13:1). The Jewish people will recognize Jesus as their Messiah, and all Israel will be saved. That will be quite a moment! Look at what God said in Zechariah 2: 8 “For thus says the Lord of hosts: ‘He sent Me after glory, to the nations which plunder you; for he who touches you touches the apple of His eye.’” Poke a Jew and you have poked the Lord in the eye. Our commitment to God’s people will be severally tested in these last days. As we get closer to the last of the last days, we will witness an increasing onslaught of anti-Semitism. Consequently, the sincerity of our commitment to God’s apple of His eye will be severally tested too. Anti-Semitism has been with us a long time. Tragically, the Church itself allowed anti-Semitism to seep into its ranks, justified by improper interpretation of the scriptures and reinforced by replacement theology. This all happened in defiance to what Paul wrote in Romans 11: 18, 21: “do not boast against the branches … do not be haughty, but fear, for if God did not spare the natural branches, he may not spare you either.” Because the Church began to see itself as the “New Israel,” the Jew of the “Old Israel” had to be smeared and discredited. We must always go to the Jew first and do not believe the false teaching that either God wants nothing to do with the Jews and that we must not tell them of Christ or the false teaching that they do not have to accept Christ because God is going to save them. Both these teachings are to their destruction and are the work of the enemy to destroy the Jews. God has given us the Gentiles, the Church has an awesome privilege and its time for us to do our part! Romans 10:19 (KJV) “But I say, did not Israel know? First Moses saith, I will provoke you to jealousy by them that are no people, and by a foolish nation I will anger you. 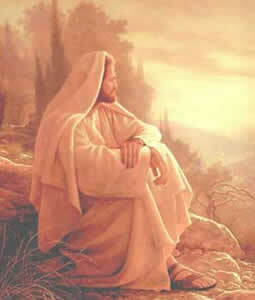 (14) If by any means I may provoke to emulation them which are my flesh, and might save some of them. “Salvation has come to the Gentiles!” Anyone who is from a non-Jewish background, put up your hand! Listen. "If it was a blessing," Romans 11 goes on to say; "If it was a blessing that the Jewish people rejected their Messiah..." Was it a blessing to a certain people group you know? You got grafted in. "If it was a blessing that the Jewish people rejected their Messiah (so you could get grafted in), how much greater (read the prophets, read what Paul speaks in Romans 11, how much greater blessing when the Jewish people receive the Messiah? It's going to cause life from the dead." Jewish people look at the Christian church and say, "There is nothing familiar to me. There is nothing provoking me to jealousy. There's nothing I see that I want. I like what I have." Christians look at Orthodox Judaism and they say, "Oh, there is nothing there that I want." We the Christians have put back a wall of partition between Jews and Gentile. Romans 9 tells us we owe a debt of gratitude to the Jewish people, because from them are the fathers - Abraham, Isaac, and Jacob. Read it now with understanding. "And he will turn the hearts of the fathers (the Jewish people) to the children." Well, if the Jewish people are the fathers, who are those others? The Christians, the children are the Christians. "He will turn the hearts of the Jewish people to the Christians, and the hearts of the Christians to the Jewish people…"
Because the only Bible the first Church had was the Old Covenant. Follow this? When the New Covenant refers to the Scriptures, it's not even referring to the New Covenant because it hadn't been assembled in a book at that time. It was just circular letters floating around to house congregations. So, when it talks about how valuable the Scriptures are in the New Covenant, it's talking about the Old Covenant. In the Supernatural Esther and Ruth got it right! Esther married a Gentile and Ruth married a Jew. We believe that it will be the devil’s worst nightmare when Christians and Jews become one, running the last lap together singing songs of Moses and the Lamb. The same glory is on them – Yeshua (Jesus). We ask the question: “Would you do anything for Jesus? The answer is simply – “take care of the least of my brethren (brothers).” This means the Jews! It also means to the Jew first! Please don’t be silent! Very Important! If ever the nations had an opportunity to stand with, feed, clothe, visit and look after Yeshua’s brethren, it’s today! As Israel and the Jewish community throughout the world seeks peace, Islamic hordes and other anti-Semitic groups are raising up to destroy them. Yet it is not these groups alone, but they are gaining support of many nations as they spew out their poison. Be sure, God will judge these ‘goat nations’ who support and encourage the anti-Semitic acts and deeds of these hate groups. Besides defending the Jewish people from anti-Semitism, in these very difficult days in Israel we have increasing opportunities to help the poor among Yeshua’s brethren. 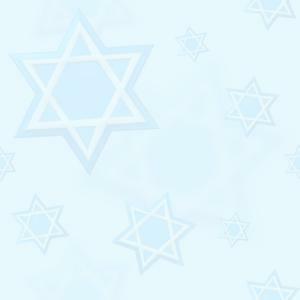 Many people stereo-type the Jewish people as being RICH. But there are large pockets of poverty, especially in Northern Israel. We are so grateful to you our partners for your sacrificial help. Please don’t think that your contribution goes unnoticed by God. All that we do on behalf of the Jewish people will be remembered and rewarded by the Lord. Not even a cup of cold water will be forgotten. We are proud that Pray 4 Zion was birthed in South Africa and able to take our gifts of love as a sacrificial offering before God on behalf of our nation. Often we have thought about how by being Silent can actually make a statement that we don’t care! But the time has come for us to demonstrate that we as Christians WILL BE SILENT NO MORE! We encourage you to download previous teachings from the website if you are able to do so. For those who don’t have Internet we can post colour copies each month. Please ensure that we have the correct details for you. If you are not receiving them please contact us. You ask how can you help? For Pray 4 Zion, to continually bless the Jewish people in Northern Israel will require dedicated and generous partners to make this happen. We are not Lone Rangers and believe that it takes Team Effort. You can also help get the word out by forwarding our Newsletter Teachings to as many people as possible. This would make Pray4Zion and its Vision known. Please feel free to forward / copy / print this newsletter teaching provided it is send in its entirety and is not altered in any way.